Scientists have long wondered ideas producing diamond from graphite like the alchemists of the past, seeking all sorts of ways to create gold out of different materials. Diamond mining is undoubtedly a very profitable business that can support the economy of any country. But nevertheless, I'm sure many entrepreneurs would like to reduce the cost of obtaining these gems and thereby to increase the income the diamond industry. What if it is possible to obtain synthetic diamonds from graphite? To answer this question, it is necessary to understand the nature of the two materials, diamond and graphite. A still from the chemistry lessons I remember that these two seemingly such different material entirely composed of carbon. Diamond is normally crystal clear, but it could be blue, and blue, and red, and even black. This is the most solid and durable substance on Earth. This hardness is due to the special structure of a crystal lattice. It has the shape of a tetrahedron, and all the carbon atoms are at the same distance from each other. Graphite dark grey with a metallic sheen, soft and completely opaque. Crystal lattice of graphite are arranged in layers, each of which molecules are arranged in solid hexagons, however, between the layers bond of molecules is quite weak. That is, in fact, the difference between diamond and graphite lies in the different lattice structure. As such, the transformation of graphite into diamond is possible. It proved scientists of the twentieth century. In 1955 he presented a report of General Electric and synthesized the first diamonds were really small. The first carried out the synthesis of the researcher of the company T. Hall. To achieve such success was used the equipment to create a pressure of 120 thousand atmospheres and a temperature of 1800°C. However, it was not all methods of producing diamond from graphite. In 1967 Wentorf raised first the seed diamond. The growth rate was quite low. The largest synthetic diamond R. Wentorf made by this method has reached a size of 6 mm and weight of 1 carat (0.2 g). Modern technologies allow to obtain diamonds from graphite in several ways. 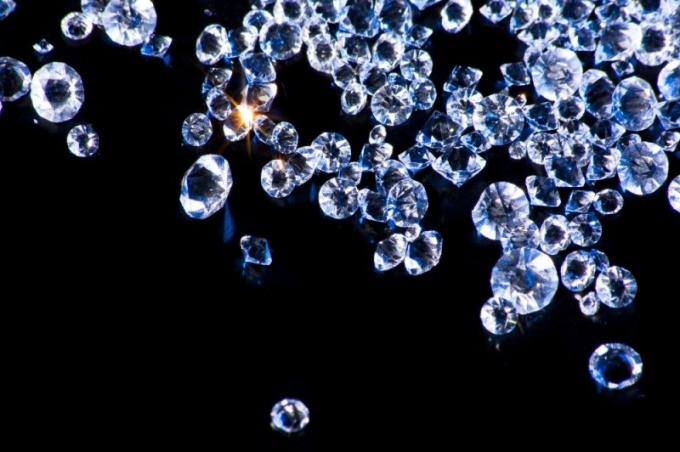 The diamonds are synthesized in conditions close to natural, as well as using catalysts. Is the increase of the diamond crystals in a methane environment, and fine diamond dust for the production of various abrasives produced by explosion of explosives or wire, a large current pulse.